Here’s this week's question: School is out! What is your favorite Summer Reading book? How about you. What is your favorite Summer Reading book? With GFC going away please follow via BlogLovin, RSS, or Email. And please check out my 400-Word Blog series, The Beach Man. I’ll appreciate it. Gotta read Prodigy too. 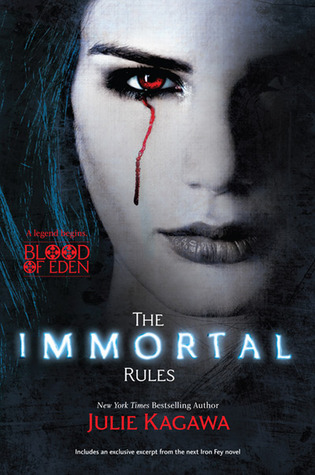 Read and loved The Immortal Rules, Julie Kagawa is such an amazing storyteller! Wow. An all-year-round summer. I think I'd go mental with all the sun, lol. Thanks for dropping by. Have an awesome weekend too. 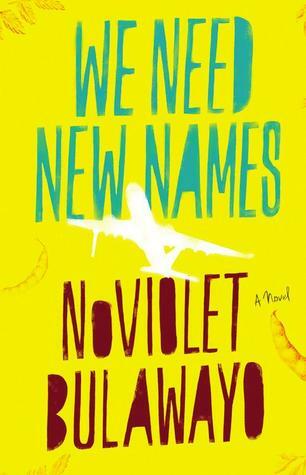 I've never heard about We Need New Names before. I love reading stories about rural/3rd world areas because the culture and imagery is so vivid. I hope you enjoy The Immortal Rules. Thanks for stopping by! You're welcome, Angeline. Thanks for dropping by too. Yeah, I can't wait to start reading the book. I've seen some good reviews. I was going to put the Eternal Rules, because I really enjoyed that one, more than the first book!! I'm glad the second book didn't come down with Second-Book-Syndrome. I look forward to reading the series. Let me know what you think of them when you're done reading. Nice! I liked The Immortal Rules! It was a great read! The Eternity Cure was even better!! Wow! I love that. I've heard so many people say The Eternity Cure was better. I like it, and I look forward to reading it soon. I loved The Immortal Rules; The Eternity Cure is on my TBR list, just bought it. I'm also excited for Prodigy! I read Legend ages ago but for some reason never got to to sequel. I read Legend three months ago. I decided to give it a little time before I get into the second book. I really need to read all the Julie Kagawa books! Everyone loves them but I haven't even read The Iron King yet. I'm also planning to read Legend soon. I'm a new follower via GFC! I haven't any of her books but I know she's a good writer. I look forward to enjoying The Immortal Rules. Thanks for following. 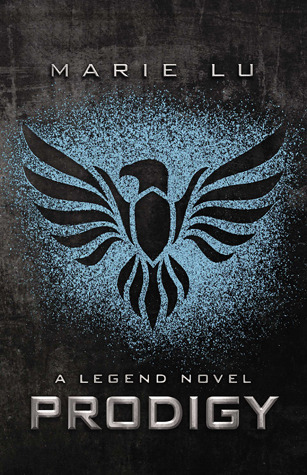 I just borrowed Legend by Marie Lu at the library! Looking forward reading it. It sounds so..awesome! New follower via GFC and bloglovin. Thanks for following, Johanna. There are lots of books I haven't read too. Hopping through. The Immortal Rules is wonderful. I still need to read Prodigy. I've seen good reviews on the book. I hope I'll enjoy it like most people did. I finally managed to participate in this weeks FF. I don't change my reading habits either. The books you plan to read look good. Wow! I'm glad you're back. I'm stopping by your blog right away to see your FF. LOVED Immortal Rules. I'm following via BlogLovin'. Thanks for following, Nicole. I'm glad you liked The Immortal Rules. Do have a wonderful weekend. I've been meaning to get to Prodigy and that whole trilogy. I've heard it's really good. Something always comes and takes my attention away from it though! Following you back via bloglovin! Hey KayKay! Thanks for swinging by the blog and following. I actually have The Immortal Rules on my laptop for review, which I seriously have to just knuckle down and get cracking with some of these review books. Hopefully you enjoy it and the others that you're hoping to get to next. Thanks for following. I hope you enjoy it too. Love The Immortal Rules - great picks, and I completely agree with what you said about summer reading. Thank you so much for stopping by :D Old follower Jaclyn @ JC's Book Haven. You're welcome, Jaclyn. Thanks for stopping by. The Immortal Rules is a great series!! I loved the second book much better than the first, but they are both awesome. Wow! Almost everybody says the second book is better than the first. I can't wait to start reading the book. Oh, cool! I've always wanted to read Legend and The Immortal Rules! Enjoy reading! Thanks for stoppin by! Followed via Bloglovin.